The charges are reportedly in connection with the death of Wood’s girlfriend’s five-year-old daughter, though the Clark County (Nev.) District Attorney’s office would not release the arrest report, citing policy for cases that involve child victims. 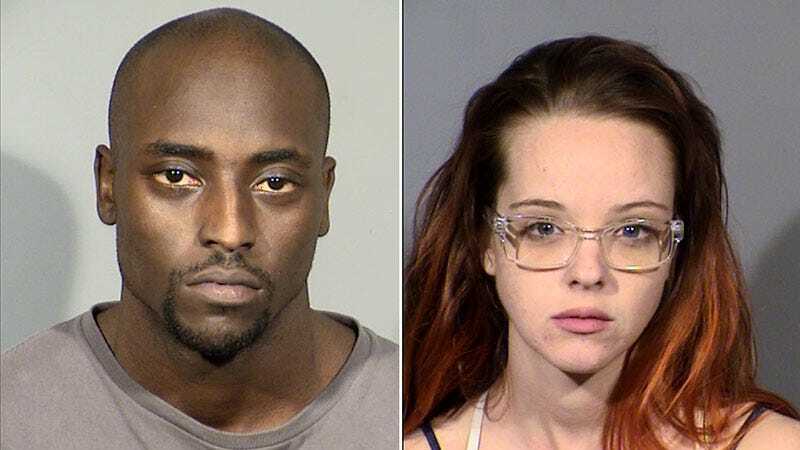 Wood’s girlfriend, Amy Taylor, 26, also faces charges for child abuse and neglect, according to the Las Vegas Metro Police Department. ABC 57 reported that police were called to a Las Vegas hospital on Tuesday night in connection with a child’s death. Deadspin has requested the arrest reports from the Las Vegas Justice Court and will update this post if we hear back. From 2013 to 2015, Wood was primarily a practice squad player for the New England Patriots, Houston Texans, Seattle Seahawks and Buffalo Bills, after leaving Notre Dame in 2013. He most recently played in the CFL.